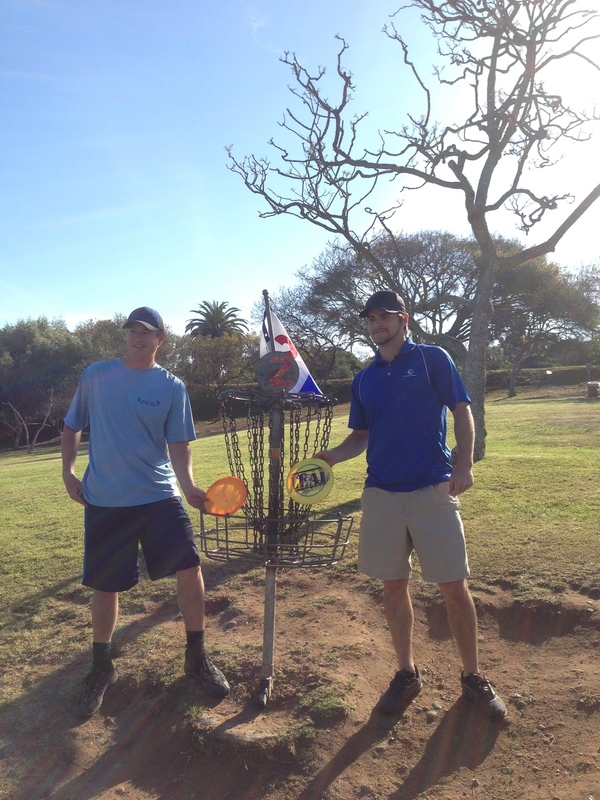 2014 Southwestern Team Disc Golf Invitational - San Diego wins! Sign ups for Friday doubles will close at 4:15 and will start at 4:30 until further notice. Ranger Bags Back In Stock Soon! This year’s all AM Spring Fling Event was one of the most competitive tournaments we’ve ever had. After the first round the leaders in nearly each of the six contested categories had a very narrow lead on their respective fields. The PDGA’s player rating system does a very good job of forcing players to move up when they are too strong for a lower division thus insuring the divisions remain highly competitive. The premier Advanced division had 33 of the total 97 player field. Everybody’s favorite player Oscar Garcia put down a fine -12 effort to win wire to wire. In year’s past Oscar has been a volunteer for this event but this year he tested the waters and came up a big 5 stroke winner in his first big tourney victory. Oscar won a Chainstar basket from Discraft for his efforts. 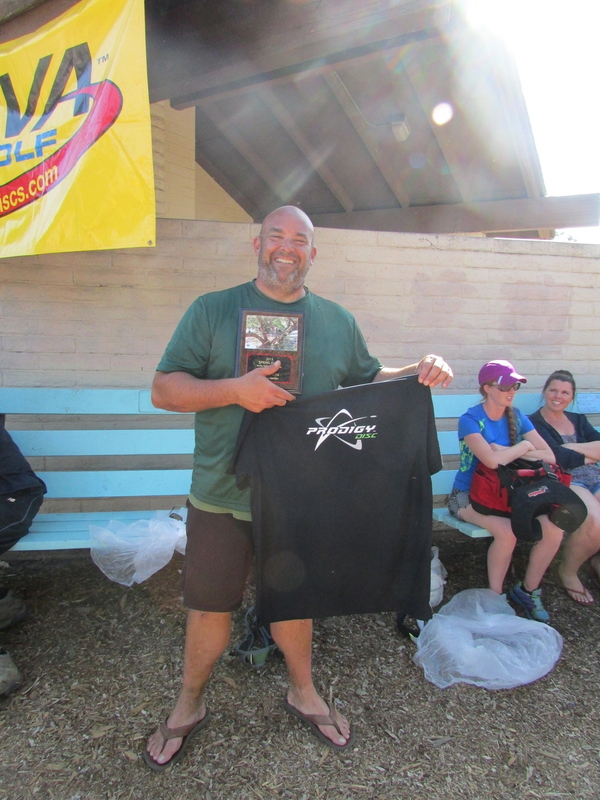 The Masters category was the other big category where the recently turned 40, Mario Traba won a Chainstar basket for his 2 stroke victory over first round leader Michael Homan. The Woman’s category had a strong 6 gal field. Vanessa Van Dyken’s powerful drives and steady putting proved to be too strong for the field winning by a handy 8 strokes over local Allie Robles. Vanessa’s half sister Sara Openshaw took 3rd in her first tourney ever. The Am 2 Intermediate division saw Bob McGarity hang on for a narrow 2 stroke victory over a fast charging Glen Kluge. The Am 3 Recreational/Novice division had to be decided in sudden death with Michael Woodruff pulling out a W over first round leader Zack Fluty. The “ole guy” Grandmaster division saw long time Morley local Glenn Swanson Sr. with his magnificent age defying overhead throws win by 5 strokes over SD team representative Fred Aguero. 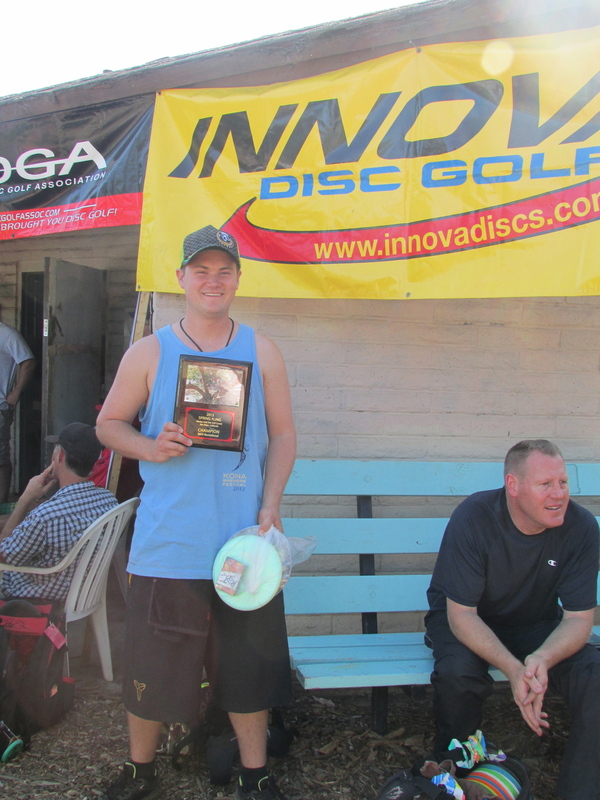 Third place went to Chris Dodds another old time Morley local who just recently took up disc golf again. As part of their tourney experience all the players were treated to lunch: Costco pizza, fresh Cali Kebab salads and sliced apples and oranges along with drinks. 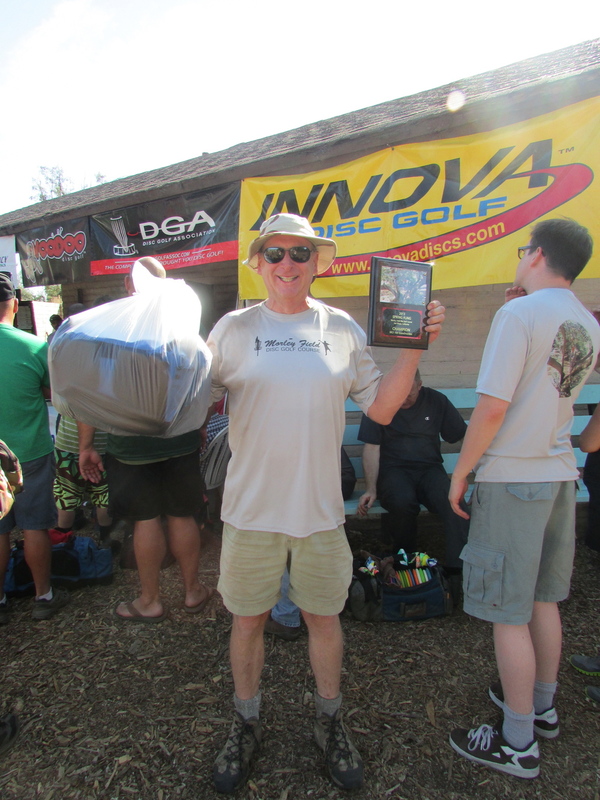 There was also a free drawing at the end of regulation play where over 60 items donated by the disc manufactures were won by the tourney participants. This year over 40 % of the field earned prizes totaling over $4050. All the winners won plaques from NP Trophy and all 2nd place winners earned framed certificates. Player packages included a tourney T shirt and 2 mini’s. 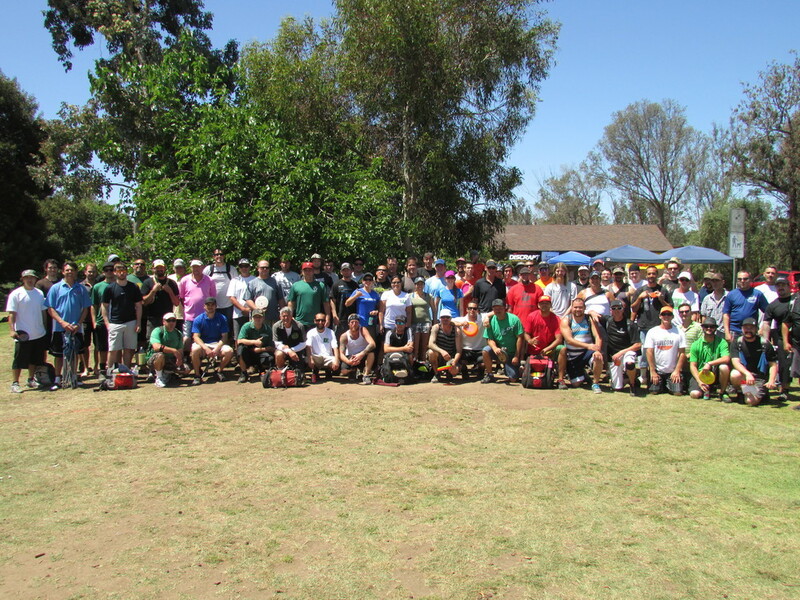 A big thanks goes out to our disc manufactures Discraft, Dynamic Distribution(The trilogy Latitude 64, Westside, Dynamic Discs), Innova Champion, Legacy, MVP, Gateway, and Millennium as well as the San Diego Aces organization and SoCal Disc Golf. Saturday, September 21stTee off 8am All divisions Be there early! You can still get on a waiting list at the proshop for a chance to play. Good luck! Great tool to help you understand your discs flight.